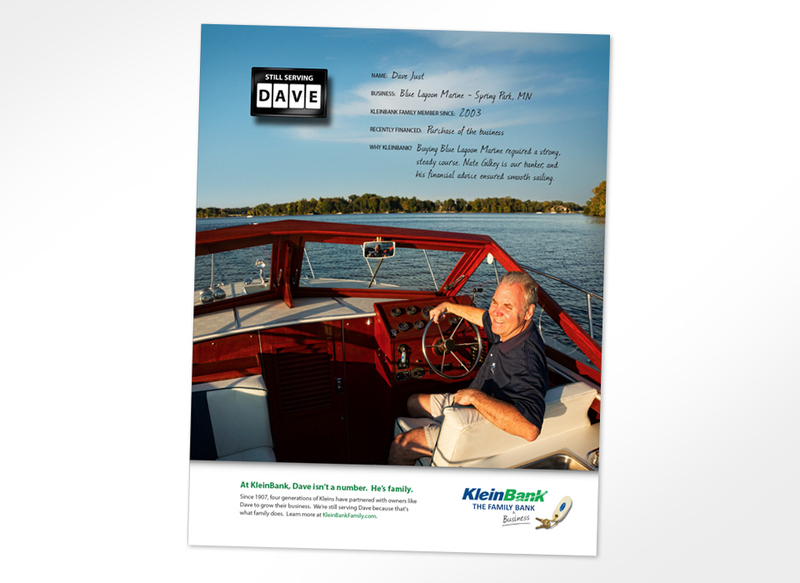 KleinBank is one of the largest family owned state banks in Minnesota. 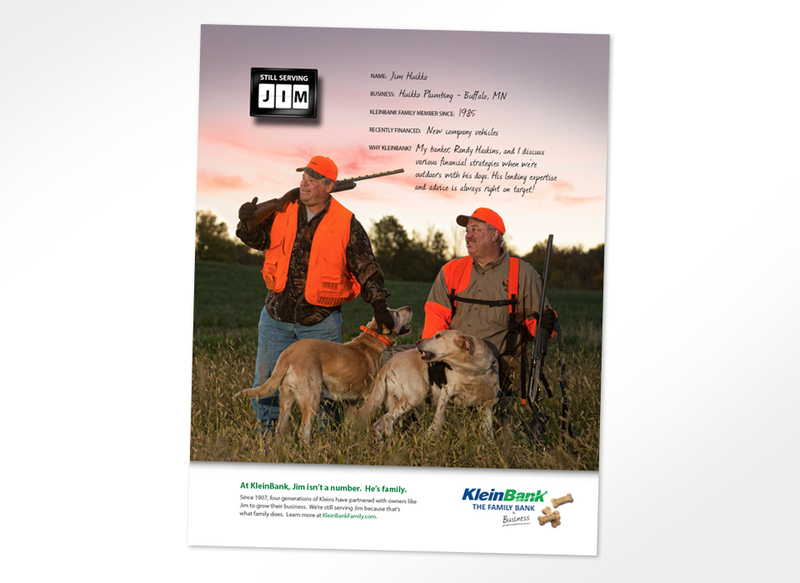 In 2013, KleinBank invited MJ Kretsinger to assist with a brand refresh and to help reposition the bank with retail and business customers. MJ Kretsinger began by conducting a thorough Discovery process that included 25 business and customer interviews, and an employee survey. 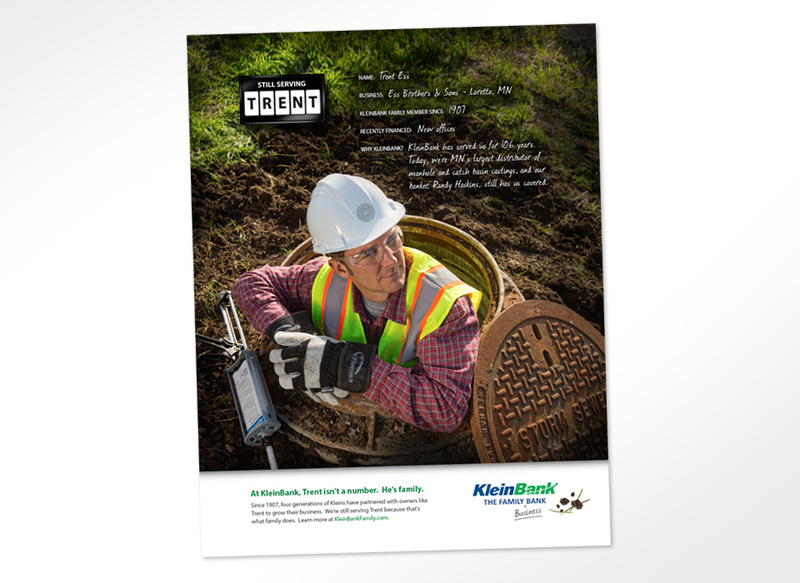 The insight resulted in positioning recommendations, and a series of print campaign concepts intended to bring the new KleinBank story to life. MJ Kretsinger then tested the creative in customer focus groups to see which ad campaign resonated with the customer base, and the “Still Serving” customer testimonial concept was selected with the tagline “KleinBank – The Family Business Bank”. 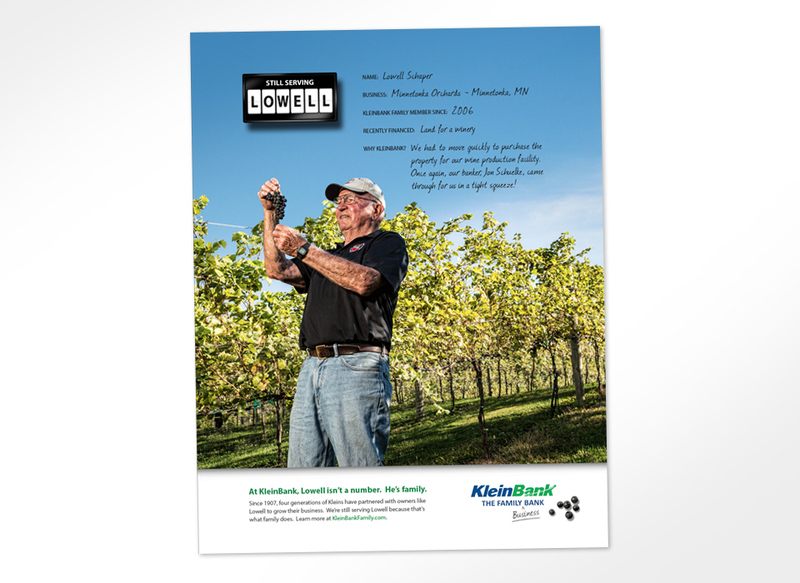 Thirteen KleinBank customers across Minnesota were selected to feature in the new campaign. 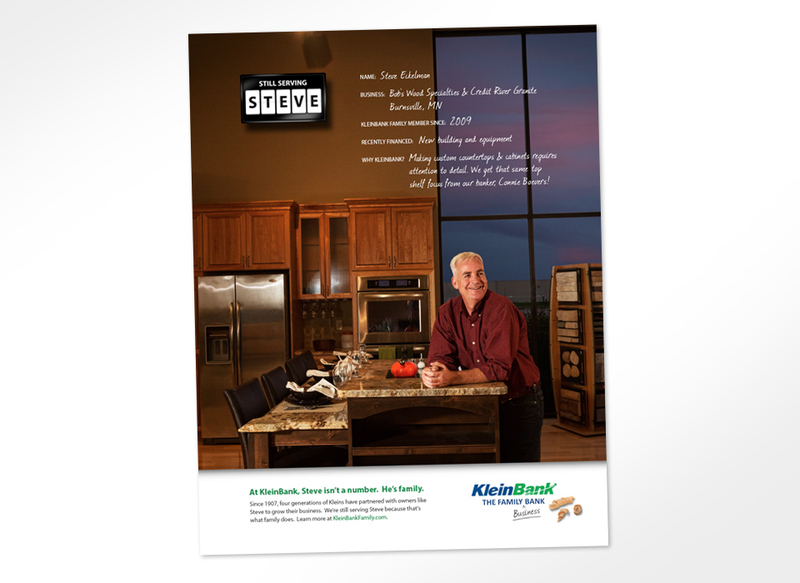 MJ Kretsinger partnered with a local, award winning commercial photographer to shoot on location photography for all 13 ads. 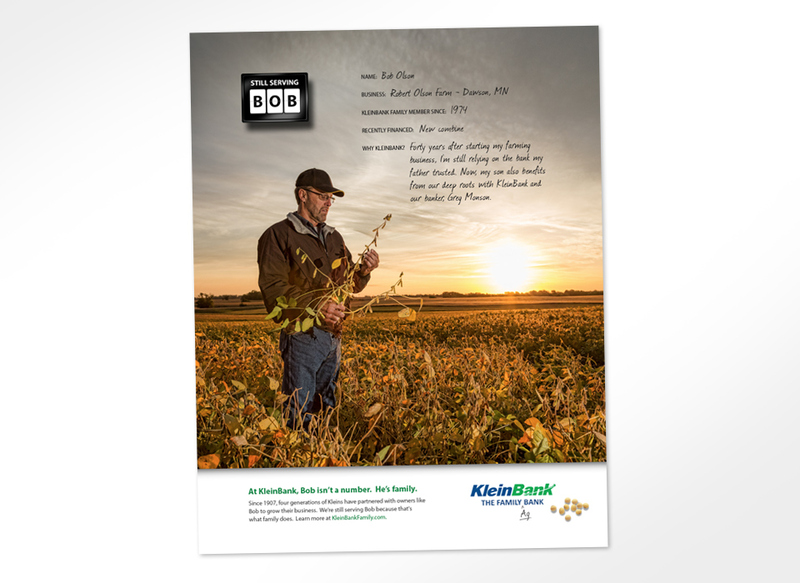 MJ Kretsinger also partnered with KleinBank to produce a responsive campaign microsite, banner ads, and radio spots for the campaign which will run throughout 2014 in major Twin Cities publications and in Western Minnesota ag markets. 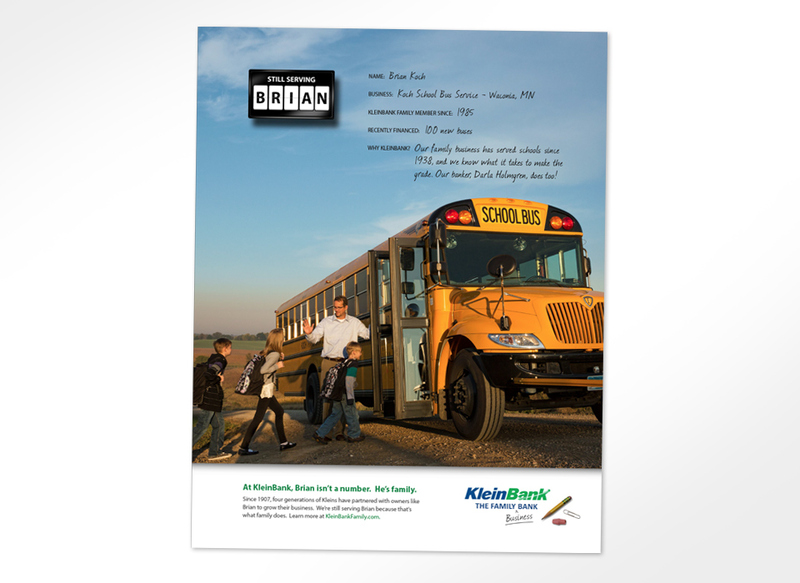 To visit the responsive campaign website, go to www.kleinbankfamily.com.